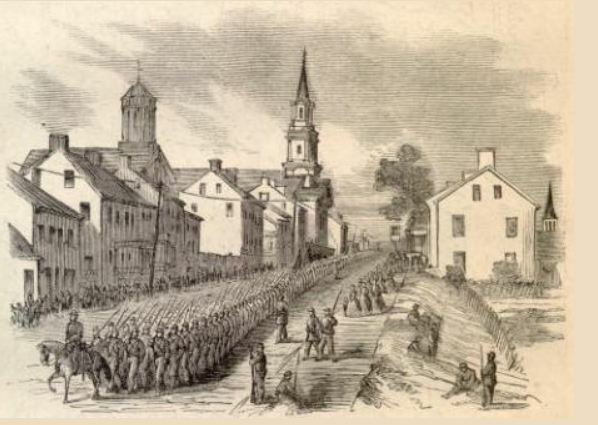 Private Oliver Case and the members of the 8th Connecticut are cheered again by the citizens as they leave Frederick. The regiment deploys skirmishers as they prepared to cross Braddock mountain outside of Frederick. They entered Middletown on the far side of the mountain taking up positions just before sundown. Although it appeared that they were close behind the enemy, there would be no serious engagement with the Confederates on this day. In the larger context of the campaign, this was a highly significant day. 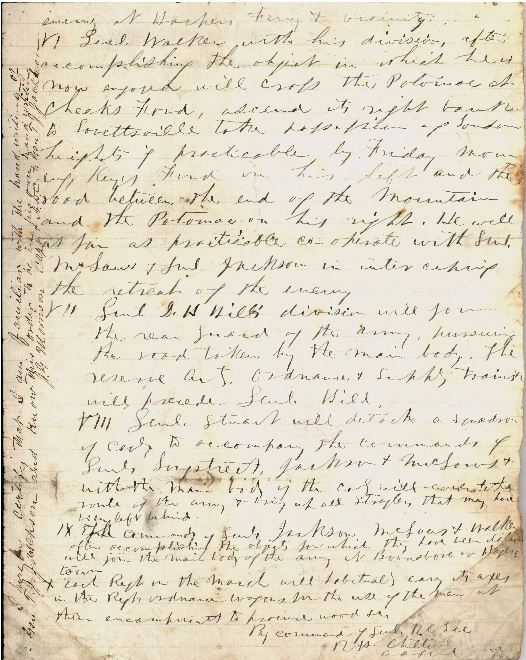 Sometime before noon, Major General McClellan was presented a two page document purported to be a copy of Robert E. Lee’s battle plan known as Special Order 191. The document had been discovered that morning in a field outside of Frederick by soldiers of Company F, 27th Indiana Volunteer Infantry. The orders were wrapped around two cigars in an envelope and discovered on the ground near today’s Monocacy National Battlefield. McClellan’s staff quickly attested to the handwriting and signature of R. H. Chilton, Lee’s assistant adjutant general and by evening the general had issued marching orders for the following morning.